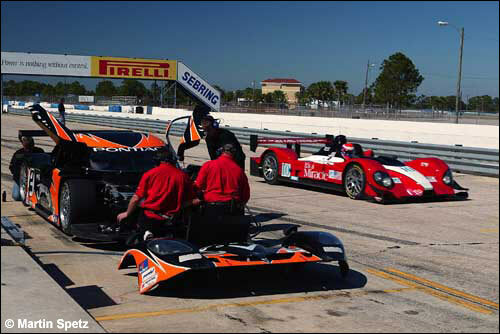 Tuesday was another beautiful day at Sebring – writes Martin Spetz. A bit cool in the morning, but it warmed up nicely under clear blue skies, the rain stayed away, although late in the afternoon the wind picked up, dark clouds rolled in and the temperatures dropped into the low 60s. 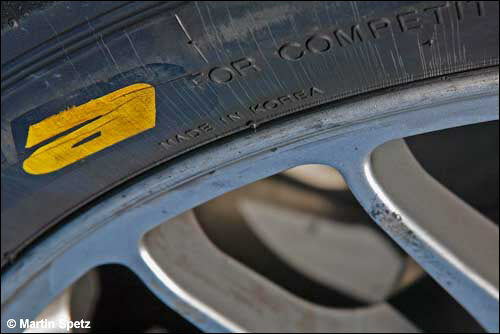 John Macaluso’s Miracle team spent the day tire testing: Kumho has produced a new tire for them and out of the box it’s about two seconds quicker. 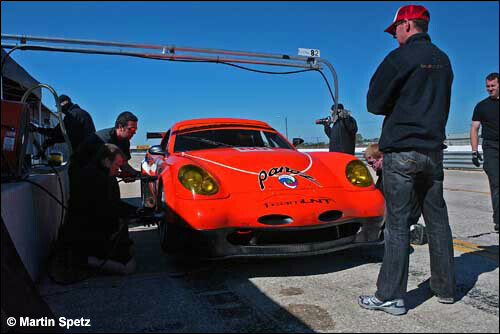 LNT was working on bedding in brake pads in the morning, in the team’s Panoz Esperante. 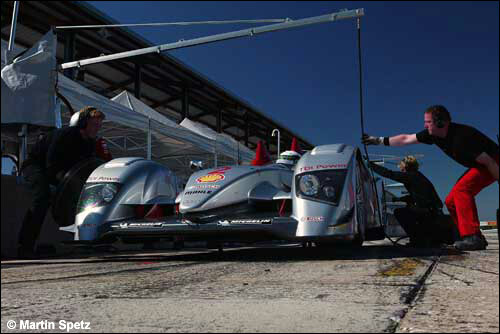 Allan McNish set an unofficial 1:47.8 in the morning, in one of the Audi R10s, just half a second outside the best set at the recent test here. The biggest concern for the Audi team appeared to be the pigeons nesting above where the Audi engineers had set up their equipment! Barry Foster adds information from the Dyson camp. One correction from Monday's item – there is only one of the Lola B06/10s present, not the pair. Chris Dyson commented that the test so far has been "pretty encouraging". 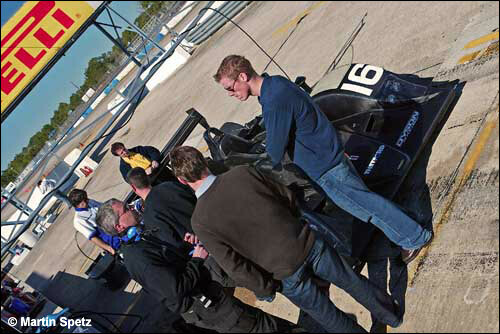 The Lola went back to the workshop after the January test, while the engine was air-freighted back to AER in the UK. Chris commented that the chassis dynamics are different on the new car – and it is "very responsive and good over the bumps." 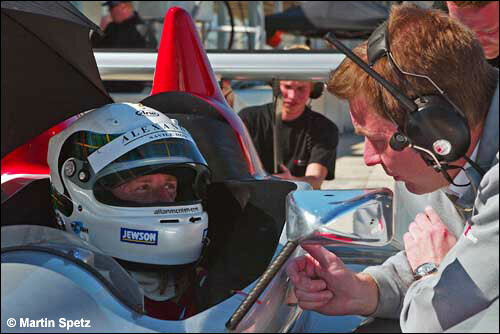 Although James Weaver, Butch Leitzinger, Andy Wallace and Guy Smith all present, it has been Weaver who has been in the car for the bulk of the time. The team chose to bring one car and concentrate on that, and then plan to use the lessons learned here to configure the second car. Chris Dyson suggested that Sebring is the best place to test a new car, to see how it will stand up to the obligatory track beating. Right now the team isn’t concentrating on lap times, despite the fact that the numbers have been pretty good. Rather they are developing what Chris Dyson termed "a cookbook of ideas" for the configuration of the vehicles. 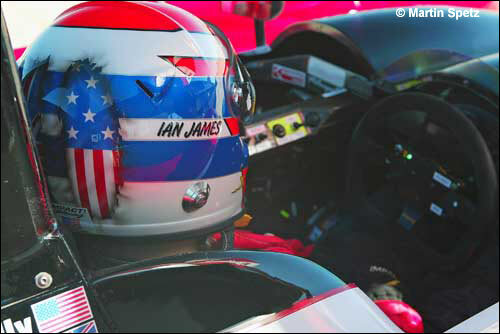 "We're not worried about the overall speed of the car as it’s showed us that it can be very fast. The power of the AER engine is tremendous." He hinted that there may be some endurance runs for the cars – but not here. He would only say that there were "some other tests possible" in late February but did not indicate where they might be.